Suicide Squad Character Poster - Slipknot. 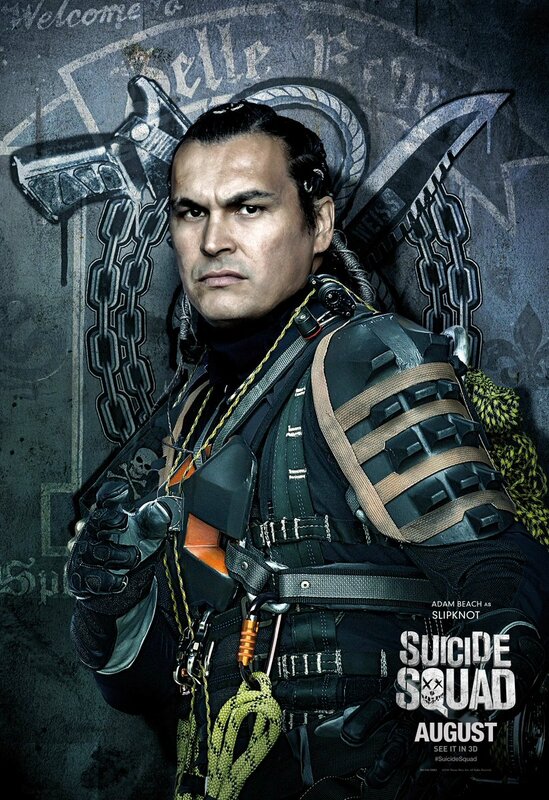 Adam beach, pwani as Slipknot in Suicide Squad (2016). HD Wallpaper and background images in the Suicide Squad club tagged: photo suicide squad movie 2016 poster character adam beach christopher weiss slipknot belle reve. This Suicide Squad photo might contain rifleman, kijani beret, vikosi maalum, askari wasomi, askari wa wasomi wa green beret, vikosi maalumu, navy muhuri, muhuri, and muhuri wa jeshi la majini.